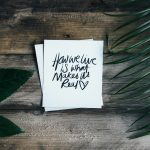 I hope I’m doing a good job communicating to you all here on the blog that lots and lots of things can contribute to, or detract from, our health and happiness. Food and exercise, which are often at the forefront of the conversations around health, are only just a fraction of what we want to take into consideration. Of course, I think both food and exercise are incredibly important for our health as well. 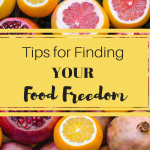 In fact, food is often a great place to start with our health journey. Why? Because a huge part of our health, and even our happiness, is related to our gut microbiome, and the foods we eat have a significant impact on that. BUT so do many other things, which is why I feel a holistic approach to our health and happiness is essential! Sometimes when we become hyper-focused on one area of our health, we forget about other important parts. One of these areas that can be forgotten is toxins. Over the past few years, I’ve seen more awareness in this area, but we still have a long way to go. In my personal health journey, toxins have played a HUGE role. As I found myself experiencing debilitating symptoms as a result of genetic mold susceptibility and other biotoxins, I also became more and more sensitive to many other chemicals and toxins. In some ways this felt frustrating and super limiting, but it has helped me to learn so much more about this aspect of our health. For example, I started to become much more aware of the products we used in our home and on our bodies. I used to fall prey quite often to “greenwashing” on personal care items. Even now it can be easy to do this. Marketing can be super tricky. So, I wanted to share some information with you today about things to look out for when it comes to choosing personal care products and cosmetics, as well as some facts that may make you look a little closer at the items you’re currently using. Just a heads up, some of the regulatory information stated here applies mostly to the United States because I’m not as familiar with the laws in other countries, though many of the facts shared here are applicable worldwide. 1) There is very little to NO regulation around what goes into your personal care products. -the use of the ingredient does not otherwise cause the cosmetic to be adulterated or misbranded under the laws that FDA enforces. The take-away here is that the personal care products you purchase may not be as safe as you may have believed. If you’re curious about the safety of your products, you can check them out on the Environmental Working Group (EWG) Skin Deep Database, as well as learn more about individual ingredients. As we learned in #1, this means that most of these product-users are being regularly exposed to chemicals linked to cancer, reproductive and developmental toxicity, neurotoxicity, and more. The cumulative effect of these exposures is often underestimated, or worse, largely ignored. 3) We live with a large amount of toxic burden. So we know we are absorbing toxins into our bloodsteam and they even have the ability to be exchanged with babies in utero. Although, as individuals there are some toxins we don’t have much control over in regards to our exposure, with careful selection, we can avoid many of them in our personal care products (as well as in our food, cleaning supplies, etc.). The less toxic burden we put on our bodies, the better! 5) Claims can be misleading. Therefore, unless you see the USDA Certified Organic symbol on a product, the organic terminology is not regulated on these items. The word natural, really means nothing at all either (even in the food realm). There is zero regulation around this claim. Yet, these terms often catch the eyes of consumers and give them the false belief that they are choosing safer products – something often called “greenwashing”. Let’s be honest– there are also some natural and organic ingredients that AREN’T healthy, like lead. This is where it becomes so important to read labels and to begin to understand more about the ingredients in your products. Also, beware that companies may make claims about their products that they aren’t verifying. For instance, a company may claim their lipstick is lead free, but unless they are testing their product (which is pretty much unheard of in the industry), they are making this claim based upon what their raw materials suppliers have told them. Contaminants, such as lead and other heavy metals, are showing up in products because they are just that– contaminants in some of the ingredients — not because they are purposefully being added as an ingredient. But, the supply chain can be extensive and can experience frequent changes, so testing the product is the only way to truly verify such claims. Therefore, this type of labeling can be very misleading to consumers. This is particularly important to me because I’ve personally experienced the health effects of accumulated heavy metals. When I realized that even some of the most natural and organic cosmetics (especially mineral-based products) could be contaminated with heavy metals, I became concerned about using most anything. 1) Back then I wasn’t finding it as easy to find quality, safer products, and I was a bit of a purist, wanting only super clean items. 2) I didn’t want to experiment with lots of costly products before finding a brand I liked. 3) I don’t like ordering from all sorts of different places all the time. I prefer more of a one-stop shopping style option. 4) But then I kind of started to like my minimalist approach, especially after I found a few safe items (like mascara was a must). Things were going well with my homemade skin care and I was mostly satisfied with my (3-4 item) super simple make-up routine, but I was looking for a little more. I was wondering how my skin would fair if I gave it a little extra love and nourishment. Specifically, I wanted to experiment with a few more “actives” on my aging skin. And I wanted to be able to apply a little more make-up on special occasions, or just when I felt like it. I was also beginning to run out of the stuff I had bought years before. I didn’t want to settle, though. I wanted it to be clean and safe, yet perform. What’s the point in spending money on it, if it isn’t also going to perform? So, I’d been keeping my eye on Beautycounter for some time. Beautycounter is a Certified B Corporation that is focused on creating transparency and safety in the personal care industry, through truly innovative skincare and beauty products. Using primarily a direct retail business model, Gregg Renfrew the founder, hopes that education in this area can be spread person-to-person, friend-to-friend. Beautycounter is also actively advocating for more federal regulation in the industry, as their mission is to get safer products into the hands of everyone, no matter what brand they choose to buy. So, just as Gregg intended, I was learning from many like-minded bloggers and leaders in the health community, as well as other women and moms whom I trust, about their positive experiences with Beautycounter products and the company in general. I dipped my toe in the water by trying a few products here and there and liked what I tried too. This also happened to be around the time in my health journey when I was particularly sensitive to a lot of foods and chemicals. I was pleased to find that even during my most sensitive period, I tolerated the products well. The more I heard and experienced about Beautycounter, the more impressed I became, and the more interested I was in learning more and doing even more experimenting. They have created a list of ingredients they vow they will NEVER use in their products. Remember how the list of products banned in the U.S. is ONLY 30? Beautycounter bans over 1,500 questionable or harmful ingredients from their products, which is even more than the European Union, who bans 1,400+. They third-party test their products to ensure they don’t contain the contaminants they ban. They also test for heavy metals. They are transparent about all of their ingredients, as well as their sourcing. Their advocacy work is truly impressive to me. It is extremely rare to find a company advocating for more regulation in the industry in which they do business. They’ve assumed a social responsibility toward positively impacting environmental toxins and are creating more awareness in this area. And last (for now), but not least, their business model is empowering people economically and through personal growth and development! Since joining Beautycounter in their mission, I’ve truly continued to become more impressed. 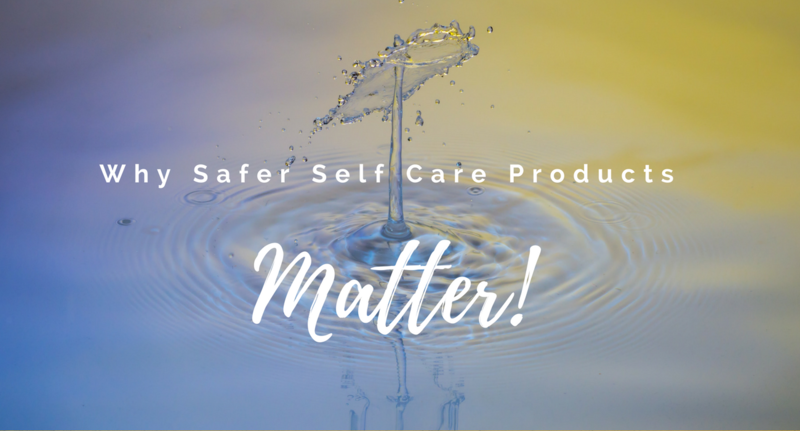 If you, too, are interested in supporting this mission for safer self care products, there are several ways you can get involved. You can vote with your dollars by purchasing safer options, like Beautycounter. You can share this information with your family and friends (including this post), and one fun way to do that is to host a social (for which you will also likely earn some great hostess rewards). You can also join the growing and innovative company, Beautycounter, whether you’re simply looking for a little side income, a fun hobby, or hoping to replace a full-time income. With me, you’d be joining an incredibly supportive and empowering team, while being generously financially rewarded and having the opportunity to make a significant social impact. So, if you have any interest in learning more about safer personal care options, Beautycounter, the products they offer, hosting a social (even remotely), or the business opportunity, please reach out to me and let’s connect! I thoroughly enjoy sharing information, offering individualized beauty consults, and mentoring others in the business. You can also follow several links within this post to learn more or click here to do further exploration about Beautycounter. But most importantly – send me a message!